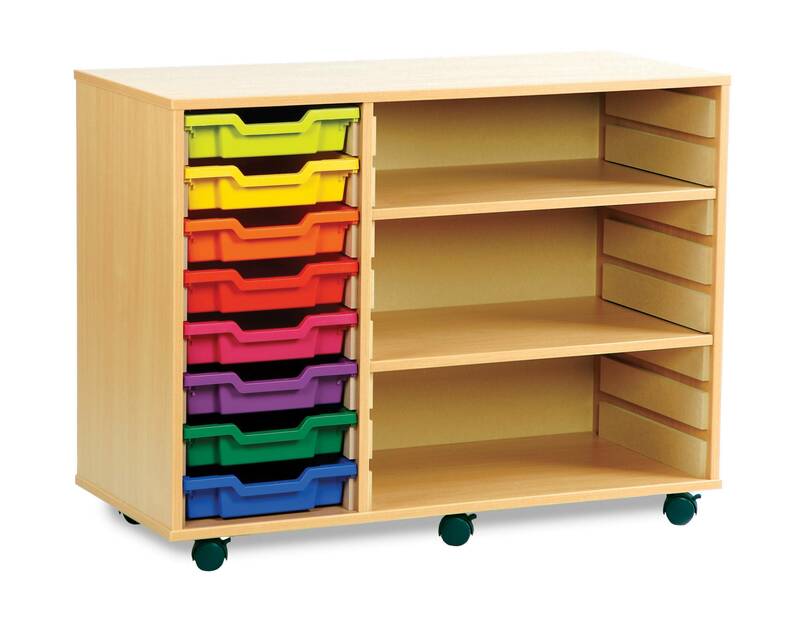 8 shallow tray and shelving unit with Gratnells trays (1 column of 8, 1 column of shelves). Tray storage available in Beech finish. Delivered assembled, complete with castors and trays. Strata trays are available in a range of colours (see below).